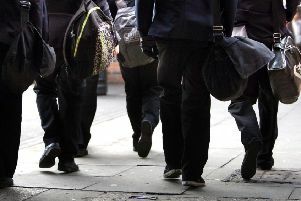 Council chiefs have put the brakes on plans which could lead to the closure of a school in South Tyneside. South Tyneside Council’s cabinet deferred a decision on the future of South Shields School to give councillors more time to consider the issues. The announcement was made at the meeting by lead member for children, young people and families, Coun Moira Smith. Information sessions with parents at the school, in Nevinson Avenue, South Shields, have already begun but the whole statutory process is now on hold. The school was rated ‘inadequate’ by Ofsted in 2017 - which triggered the search for an academy trust to sponsor the school. The council is not legally allowed to maintain a school rated as ‘inadequate’. They added that it is also likely to have a knock-on negative effect on the ability to deliver a broad and full curriculum. Agreement by the cabinet would have triggered a six-week informal consultation - due to begin on Thursday. A council spokeswoman said “We don’t know at this stage when this will be going back to cabinet. “The next planned cabinet meeting is on October 3. However, cabinet can decide to hold a special cabinet meeting. After the meeting, Coun Smith refused to say why the decision had been made to defer a debate on the school or when it was likely to appear on a council meeting agenda. Coun Alan Kerr, the deputy leader, said the council was waiting on more information on the school before a decision could be made, but refused to say what that information was and who was expected to provide it. No comment was available from South Shields School.